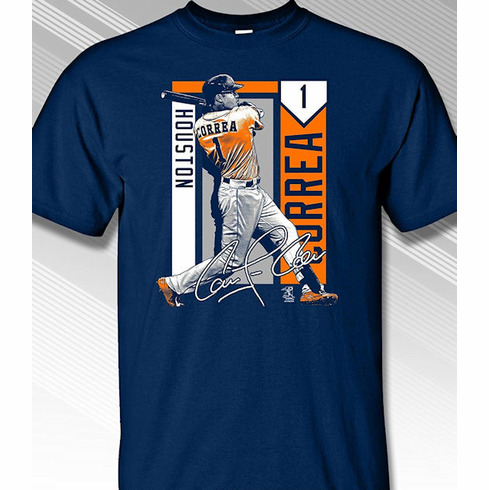 These baseball t-shirts have the Houston Color Block Carlos Correa graphics printed on the chest. Choose orange or navy blue tee. 100% cotton.